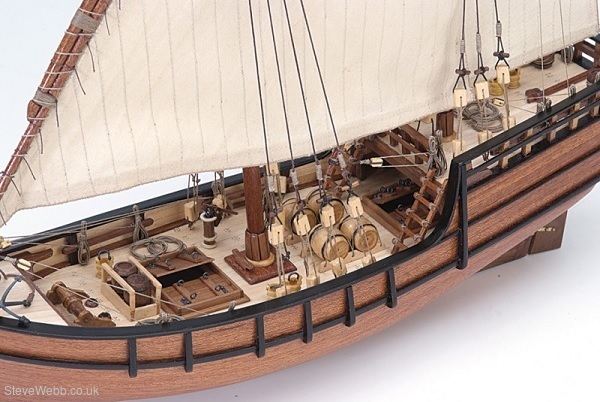 Discover La Niña, a wooden model of one of the three Spanish caravels used by Christopher Columbus on the first voyage to the New World in 1492. Built in the shipyards of the Port of Moguer (Huelva, Andalusia) a few years before the voyage, it had to be the the flagship of the expedition after the stranding of the Santa Maria. Now it will delight the modelers. The expedition departed from Puerto de Palos to the Canary Islands on August 3, 1492. On this scale, the Latin sailboat we represent in this model was transformed into square sails. After discovering the New World La Niña would return with Christopher Columbus on board reaching Lisbon on March 4 and finally the port of Palos on March 15, 1493. 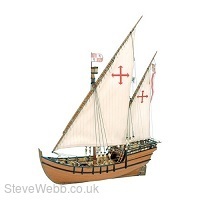 Build your scale model 1:65 from La Niña, Caravel of Discovery of America. Its system of assembly by means of false keel and frames resembles its design to the one of the real ship. 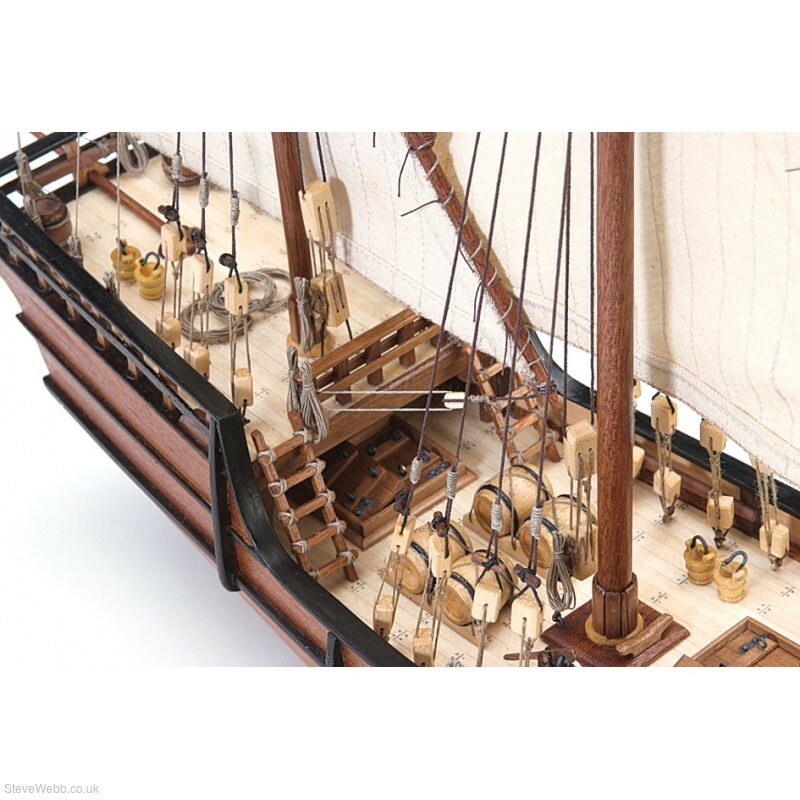 The model has high precision laser cut board parts, wood and birch veneer, various pieces of brass, foundry and fabric as accessories, high quality brass engraved parts, as well as ready-to-fit hand-sewn sails. For the assembly of the model of La Niña, one of the most famous ships in history, you can follow our complete step-by-step full colour instructions in 7 languages, accompanied by the full scale drawings of the completed boat. Difficulty. Who is it for? Recommended for initiated modellers with basic knowledge of tools and materials. Scale: The scale of the model is 1/65. Educational value: Relive the discovery of the new world, and the expedition of Christopher Columbus, 1492.